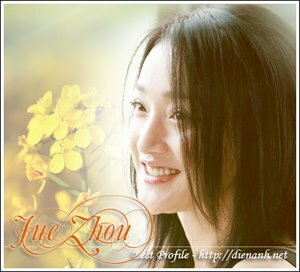 Zhou Xun: Perhaps Love: A mature role ! When director Peter Chan was looking for an actress from China who could sing, dance and act to star in his new musical Perhaps Love, one name stood out at the top of his list – Zhou Xun. With a background in folk dance training at the Hangzhou arts school, award-winning performances in various Chinese TV series, a best newcomer award by the Brand Ingrid Millet Paris for her role in The Little Chinese Seamstress, and a hit music record under her belt, Zhou would appear to be over-qualified for the role, and her enthusiasm for the role as the icy Sun Na was evident during a phone interview from China. “I was very excited when I found out that Perhaps Love had a lot of singing and dancing. When I arrived on location and saw the beautiful set, I was even happier!” she enthused. The character she plays is a drastic departure for the 27-year-old, who is better known for playing docile young women in her previous TV roles. Chinese actress Zhou Xun is Sun Na in Perhaps Love. Zhou is no stranger to Peter Chan’s work, having watched and loved his award-winning film Comrades: Almost a Love Story. “I loved the way he handles emotions with such detail,” she said. “On set, he is very open, and would always take suggestions from the cast and add them to the movie. It was also the first time I’d worked with a director who was so serious about the post-production that he did it all himself. “I remember one time when we were filming a scene by the swimming pool. I was feeling very nervous and scared, so I told Peter. He advised me to take it easy and don’t be too anxious because ‘it’s just a movie’. I was no longer nervous after that,” she recalled.